Today I added the below entry to the Trombone History Timeline (17th century—first half). The early Baroque was a busy time in the history of the trombone. Look at the number of entries in the timeline just for the year 1608 (11). Look also at the year before (14 entries) and the year after (20 entries). There’s a lot going on! 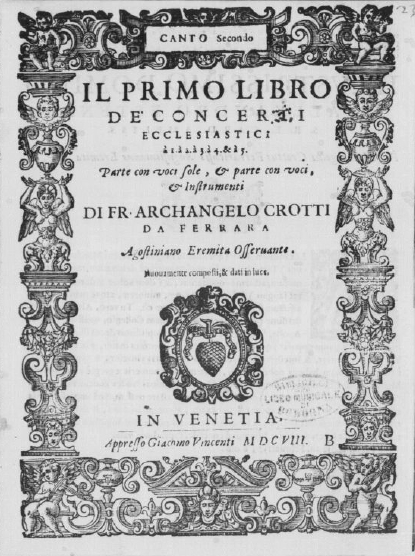 1608—Venice, Italy: Il primo libro de’ concerti ecclesiastici…, a collection of vocal music by Arcangelo Crotti, includes numerous works that specify trombone. 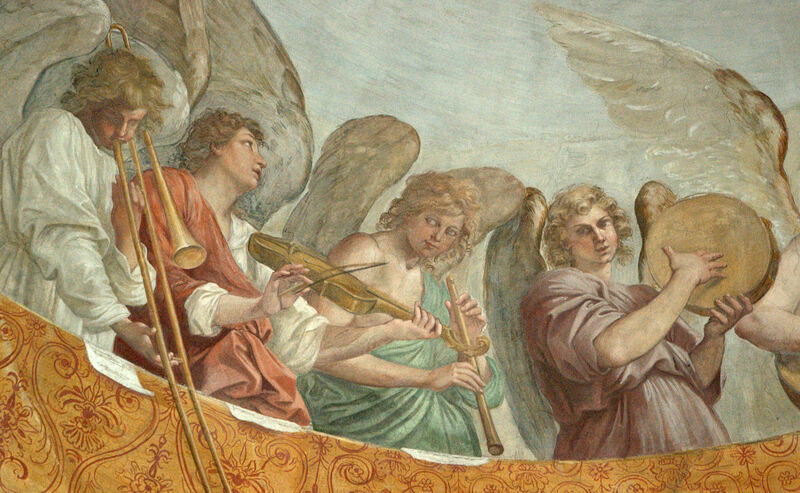 Among them are Sonata sopra Sancta Maria (soprano, 2 violins or cornetts, trombone, organ), O sacrum convivium (soprano, cornett, trombone, organ), Congratulamini (soprano, cornett, trombone, bass instrument, organ), and Pater peccavi (soprano, cornett, 3 trombones, organ) (Collver 101).